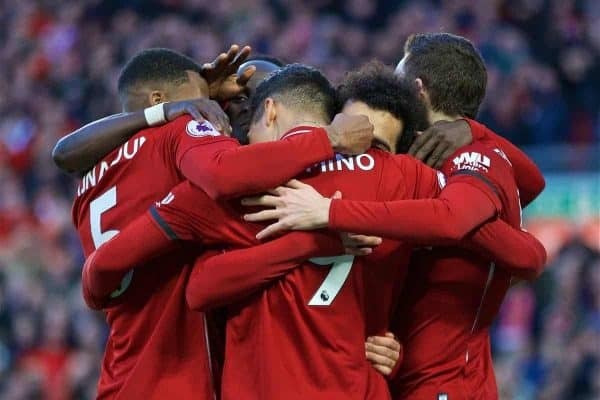 Liverpool got back to winning ways against Bournemouth and Steven Scragg believes the season is about to explode from this point on. The perfect dance partner they were, then. After the last game at West Ham I suggested that Bournemouth might just be the perfect opponents, or dance partners, for us, in the wake of the draws we had played out against Leicester and at the London Stadium, at a point in time when our nerve was being tested. And, so they proved to be. 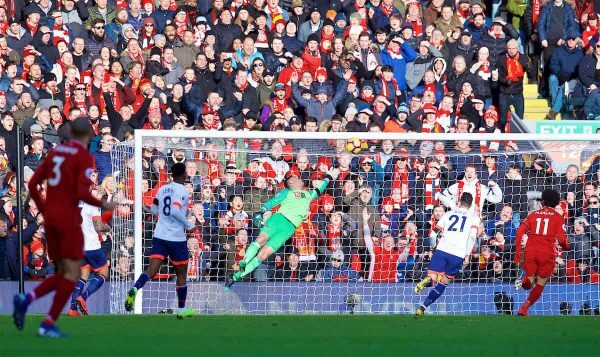 At 3-0 up, deep into the second half, on one of the many breakaways we launched in a bid to create what would have been a well-deserved fourth goal of the afternoon, Roberto Firmino allowed Artur Boruc an easier save than should have been the case. It was a swift move and it left an admirable Bournemouth side gasping for breath. 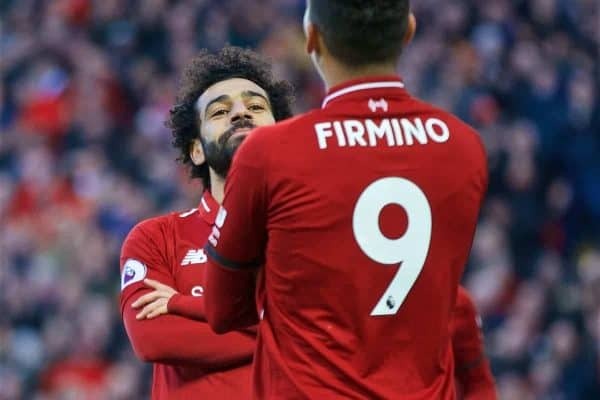 To his right, Firmino had ignored, or not seen, the presence of a team-mate who would have had a simple task to roll the ball into an empty net, had our hypnotic Brazilian made the pass. That team-mate was Virgil van Dijk. Centre-backs galloping along with a cavalry charge well, into the second half in a bid to score additional goals in a game which was over as a points-winning contest, aren’t the actions of a team which is ill-at-ease with itself, or the situation it has cultivated for themselves. On Saturday, Liverpool looked like they were enjoying life once again; on Saturday the crowd certainly enjoyed themselves. The atmosphere was in marked contrast to that strange collective sense of “well, what do we do now?” uncertainty, which was in evidence at the Leicester game. If you add this 3-0 win to the 4-0 victory we achieved against the same opponents two months ago, at Dean Court, the aggregate 7-0 scoreline does the Cherries a disservice. If only we could play Bournemouth every week, between now and May 12. That isn’t meant to be the insult it sounds like. Bournemouth play their football in a way which suits us well. They pass and they move. They don’t subscribe to advanced pragmatism in the same way that a Crystal Palace, or a Cardiff City, do. By the way, we head to Cardiff on the weekend of April 20. There was a sense of dejà vu at Anfield on Saturday. Just as was the case in early December, Eddie Howe spent his post-match interviews dejectedly lamenting a hint of offside to the opening goal of the game. As in December, the way in which Bournemouth played was what led to Liverpool winning, rather than any grey areas over the validity of the opening goal. Liverpool were always going to win this one. Somehow, Bournemouth are on the same amount of points as an abject Everton. Howe and his players deserved the two scorelines we inflicted upon them this season, but they also deserve better than to be in 11th position and sharing mid-table water-treading duties with Marco Silva’s spectacularly imploding side. Long may Bournemouth and Howe continue in their attempts to bend footballing light. They could even do us a favour at the beginning of March, when Manchester City head to the south coast to take them on. As outstanding as our iconic forward three were in this one, this game, for me, was marked by the authority with which the middle three played. So many times, this season we have scratched our collective heads over the right combination in midfield. It’s not that we haven’t had enough numbers to pick from, it has been the blend and the variation of styles we have struggled to settle on. Naby Keita has been an enigma. A few weeks ago, I offered the opinion—more in hope, than in any certainty—that if he clicked into form around February or March, then it would feel like making a new signing for the run in. Four games on the spin for him now, and Keita is starting to show examples of the player he was in an RB Leipzig shirt. That pass to Firmino during the build-up to the third goal was a Steven Gerrard-esqe work of art. Keita looked relaxed and comfortable. He is methodically playing himself into his Liverpool career. He might just be the key component to a Liverpool side which can deliver Ole Gunnar Solskjær his first defeat as manager of Manchester United. 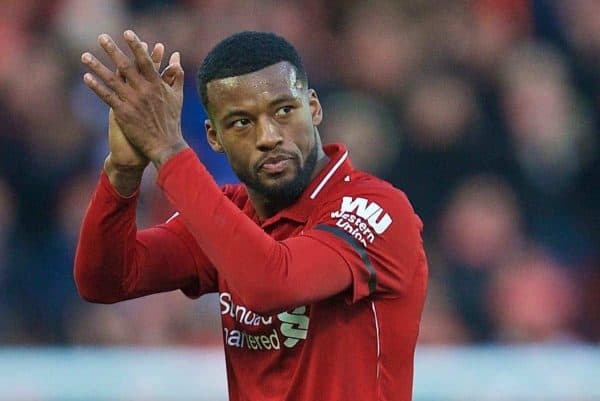 Gini Wijnaldum, shaking off a virus which left him absent from the squad for a couple of days, gave a wonderfully assured performance, crowned by the sheer loveliness of his goal. 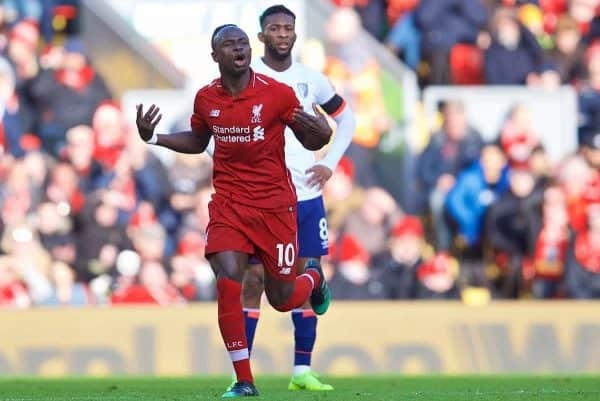 It was a goal that any one of Mohamed Salah, Firmino and Sadio Mane would have been proud to call their own, to the point that Mane slapped Wijnaldum with a reasonable degree of enthusiasm in celebration of it. Add to this another understated shift from Fabinho and we might just have found our best midfield trio at last. Although, the free-spirited Xherdan Shaqiri, the polarising stylings of Jordan Henderson and the been-there-and-seen-it-all experience of James Milner would argue the toss over that. Alex Oxlade-Chamberlain could be back in contention very soon, too. The fun returned on Saturday. That rolled, side-footed backheel from Firmino to tee-up Salah will be one of the images of the season. It was still daylight when we walked away from Anfield. Spring is on the horizon and this chase for the Premier League title has definitively got real. If, in this chase for the title, we do make the finish line first then we will look back to this win as being the springboard for the final push. A fortnight of rest is now upon us again as far as the Premier League is concerned. Old Trafford next. 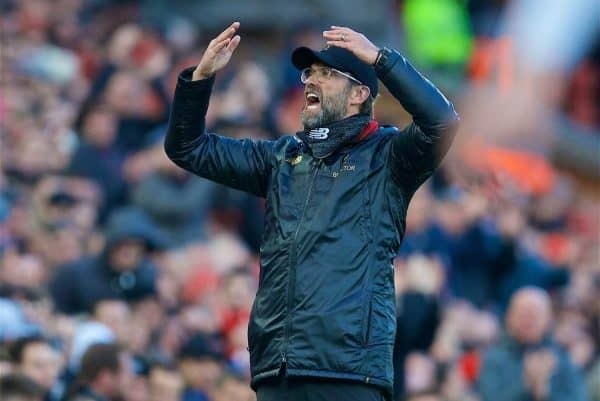 What we do have though, a week on Tuesday, is the ideal warm-up, with the resumption of the Champions League and the visit of Bayern Munich to Anfield. This is the point of the season where everything begins to magnify; everything begins to feel gargantuan. The 2018/19 season has crackled along since the turn of the year. Prepare for it to go fully electrified a week from now.